I had this one-sided tumultuous relationship with the song "Blurred Lines." It really took over my life in the summer of 2013. It was always playing on all of my radio presets, on all of my Pandora stations, at the gym, at the club. It really took over my life. Something about the song instantly drew me in. And apparently it was because I already heard it before in the form of Marvin Gaye's classic “Got To Give It Up.” And this is something I can officially state since Robin Thicke and Pharrell were found guilty of copyright infringement and ordered to pay Marvin Gaye's family $7.3 million dollars. And unsurprisingly, Twitter users really went in with the hilarious reactions. The artists tried to defend themselves and denied that they stole Gaye's music throughout the court case, but now the verdict is in. I wonder if this is the final bit of controversy for the song "Blurred Lines" because I did not think that there could be any more scandal. The song has already been through so much, from the Robin Thicke/Miley Cyrus VMA performance to the questionable lyrics. I really did not think it would be possible to squeeze out any more stories about this song, but these tweets are a story on their own. Get ready for some laughs with these gems. 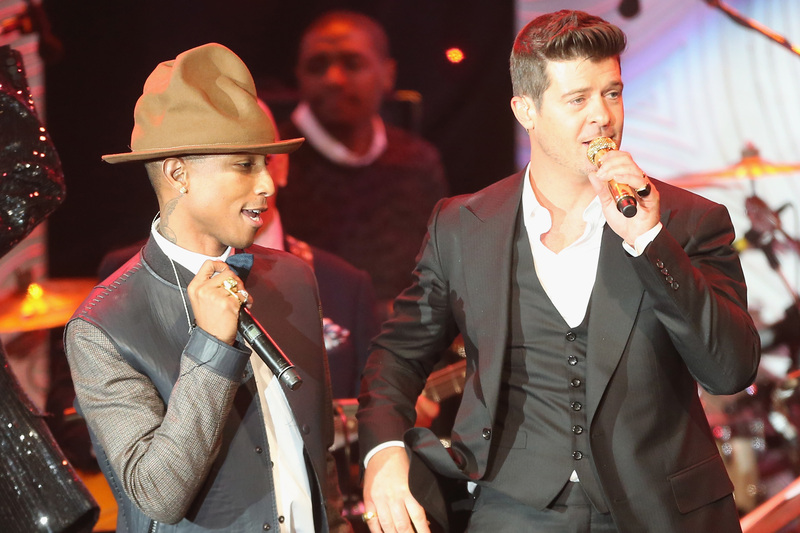 Can 2015 Get Any Worse For Robin Thicke? This Article Isn't A Think Piece... Right?